One of the most popular dive destinations in the Caribbean, well actually, more than one…! Little Cayman Beach Resort and Brac Reef Resort are offering great group deals for 2016. Travel dates for both resorts are July 2 to December 17, 2016. Contact us for group deals and free of charge spaces for groups of 10. Little Cayman Beach Resort package includes 7 nights accommodations, 12 boat dives (6 2-tank dive days), three gourmet buffet meals daily, airport ground transfers, and welcome rum cocktail. Pool view $1695 per person, Ocean View $1943 per person group rates. Ask about free of charge (FOC) spaces and our discount rates. Brac Reef Beach Resort has recently been remodelled and they are ready to show off their improved facilities. Diving is still provided by Reef Divers, known for their "valet service." Your package includes 7 nights accommodations in a beach view room, 12 boat dives (6 2-tank dive days), three gourmet buffet meals daily, airport ground transfers, and a welcome rum cocktail. 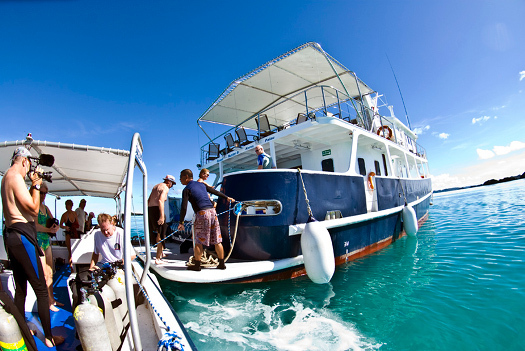 Get this package for $1425 per person double diver occupancy. Meet us in the bar for a "K" beer or a yummy mudslide. 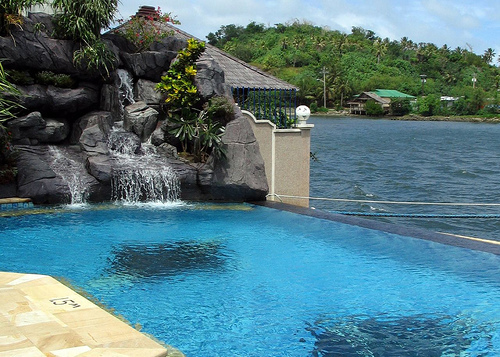 Promotion rate: $1,199 USD per person double diver occupancy. 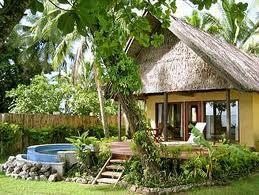 The resort's 34 rooms are in 2 categories, pool view room and sea view cottage. All rooms have full air conditioning, mini bar, safety deposit boxes, en-suite bathrooms, cable tv, IDD phone and coffee/tea making facilities. When you have the right dive buddy, the right dive equipment, the most comfortable boat, pristine warm water, a variety of options, tasteful food and an amazing place to discover...what else do you need? The answer to that question is that it's what Tasik Divers does every day. The dive pros are especially attentive to all but also know that some divers need a specific care. Whatever your need, they will do their best to accommodate you. 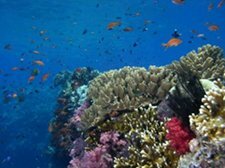 The Solomon Islands have some of the most pristine dive sites in the world. Unspoiled because of the remote location, there are not many divers to put pressure on the reef and fish. Divers experience caverns, wide-angle reefs, large sea fans, soft corals, lots of macro. 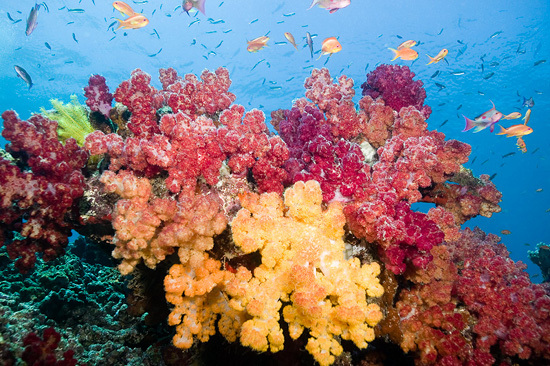 There is an incredible diversity of hard corals. In fact, the diversity of the Solomon's is hard to beat. 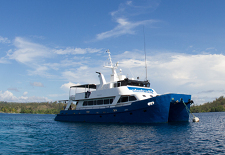 The Solomon Star is a 22 meter Catamaran live-aboard dive vessel. She is spacious inside and out and has been specifically designed with divers in mind. Each cabin has en-suite toilets and showers for your comfort. All rooms are also fully air-conditioned. Solomon Star has an extensive open dive deck with excellent storage capacity for extended passages and for storing delicate equipment. The majority of the dives are done directly off the deck rather than off skiffs meaning we can offer more dives and longer dives than any other operator. 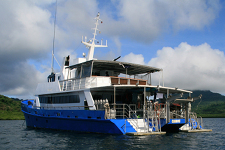 As a steel hulled catamaran she is the most stable and maneuverable vessel in the Solomon Islands, ideal for making crossings in all types of weather. Current rates for 7 night charters: Quad Share $2415; Standard Twin Share $3045; Premium Twin Share $3115. All rates in USD. 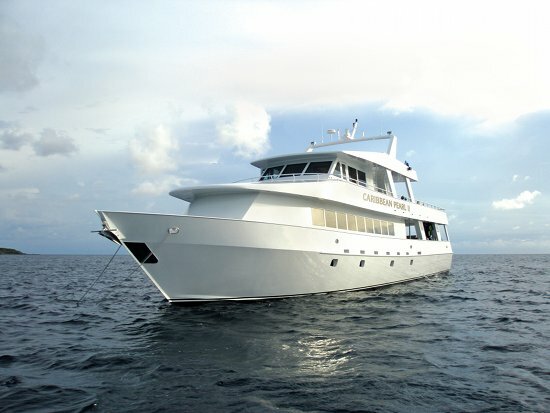 Contact us for discount pricing on this liveaboard. Rates include: airport transfers, on-board accommodation, meals and snacks, unlimited diving, weights and belt, tanks and air fills. 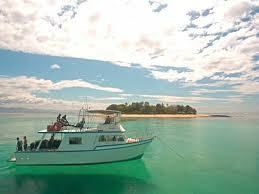 Additional on board costs include reef tax, bar drinks, nitrox, gear hire, gratuities and personal purchases. Cruising the seas around the Bay Islands (Roatan, Utila, Cayos Cochinos), the Caribbean Pearl II has been refitted and relaunched. This ship is truly ready for divers and the itinerary will take you to some of the best known dive sites around the Bay Islands. Plus dive Cayos Cochinos, a rarely frequented spot. The charters are also expected to encounter whale sharks which are regularly seen around Utila. Take advantage of our Seattle Dive Show special offering $500 OFF per person plus FREE nitrox ($100 value). Seven night charters include deluxe cabin accommodations, all meals, alcoholic and non-alcoholic beverages: normally $2,795 per person before our discount, now $2,295 per person. 2015 dates for this special price are as follows: May 16-23; July 4-11; July 11-18; July 25 to August 1; September 12-19; October 10-17; November 14-21. This must be booked by 30 May 2015. We have just returned from the Seattle Scuba & H2O Adventure Show with some great offerings, the Scandi Divers and Campbell's Beach Resort are two great deals. 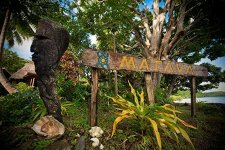 If you are looking for friendly staff, clean rooms, good food, and solid dive teams, this is your destination. And the resorts serve Starbucks coffee direct from Seattle…! How good is that? Ask for our Dive Show Discount. 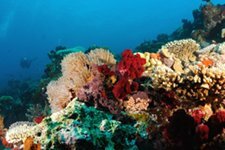 We have two packages, 7 night or 12 night, including standard room accommodations, meals, and unlimited diving at either resort. Room upgrades from Standard are available.